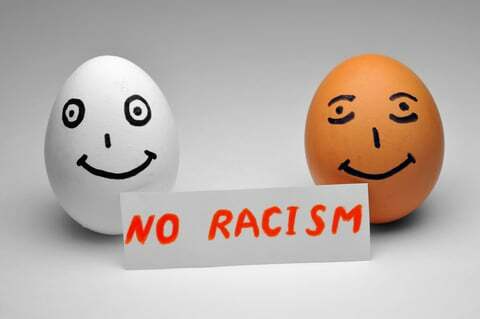 Racism is the belief that innate differences among different races determine individual outcomes. As a belief, it has been discredited. As practice it violates an individual’s civil rights. Like prejudice, its persistence reflects society’s moral turpitude. Prejudice can be defined as preconceived opinions that are not based on reason or experience. It cannot be corrected through legislative actions. Prejudice is cultural and usually ingrained. It comes in many flavors. There are xenophobes, misogynists, anti-Semites and racists, among others. Such feelings are primarily a function of ignorance, but they also reflect a culture that lacks empathy and mutual respect. As a society, we need greater emphasis on family values. We need parents, teachers and others in authority to set exemplary examples. The banning of discrimination and the prosecuting of racists will not, unfortunately, eliminate prejudice. While laws banning discrimination have been enacted, there is no question that prejudice and racism persist; though less overtly than fifty years ago. Tolerance should be encouraged, but it cannot be mandated. It must be learned, as must honor and fairness. Respect must be earned. All should be aspects of our cultural makeup. These are values we inherit from our parents, and should be integral parts of our school’s curriculum. For President Obama, this could have been a teachable moment. However, his instinctive reaction was to see these tragedies as part of a larger pattern of racism. The questions he should have addressed include: Why are 75% of black babies born out of wedlock, when we know two-parent households are the best tickets out of poverty and away from a life of crime? Why is the murder rate of young black men (90% of whom are killed by other young black men) almost ten times that of whites and Asians? Why have blacks, who make up 13% of the nation’s population, been responsible for the deaths of 42% of all cops who were killed in the line of duty? Mr. Obama should be focused on the issues that have caused black crime to soar, especially black-on-black. The second lesson the President should emphasize is the importance of the rule of law. No nation can exist without laws and without them being enforced. That does not mean that all laws are fair, or just. But we cannot have individuals, be they law-enforcement officers, the President or simply citizens, deciding which laws should be obeyed and which should be ignored. That way leads to anarchy. Similarly, while there are bad cops, most are brave, public servants doing necessary and, at times, dangerous jobs. The President should explain that it is not racist to enforce laws. Selling single cigarettes is a crime. Should it be? That is not a question for the police. Certainly, owners of convenience stores that sell tobacco do not like the selling of untaxed cigarettes outside their shops. The State of New York doesn’t like the illegal selling of cigarettes either. In 2011, the State collected $1.7 billion in tobacco taxes. If a law is trivial or unjust, there are legitimate ways of getting it changed. In the wake of the Civil Rights movement, many well intentioned legislators made the conscious decision to compensate African-Americans for years of having had to live under humiliating Jim Crow laws. But, in doing so, they unwittingly increased dependency on the State, and they lowered cultural and moral standards. Welfare programs had the unfortunate effect of encouraging out-of-wedlock births and single-parenthood. A culture that emerged of political correctness and moral relativism encouraged such behavior. Children born without fathers are at an enormous disadvantage, yet people in authority don’t encourage marriage. Universal values, like respect, honor and morality, have been abandoned in favor of ones that promote the ego of the individual – Selfies characterize this era. The concept of “broken windows” – a system that relies on personal responsibility and which says that if small problems are addressed, larger ones are less likely to form – has been abandoned by those like New York’s Mayor Bill de Blasio, supposedly allies of African-Americans. Besides the breakdown in the family and in cultural standards, public schools are being run more for the benefit of teachers and administrators than for students. This is especially true in the nation’s poorest inner cities. Wealthy families have the option to use private schools, which have proliferated in the last forty years, while inner city children – the poor (and especially the black) – have been consigned to failing schools. Even the option they once had – Catholic schools – have largely disappeared, victims of unions that did not want the competition. Charter schools and voucher programs have been vilified by so-called liberals, because they do not have the backing of unions. Mr. Obama, as everyone knows, came to the White House with a unique opportunity to improve attitudes toward race, but also to address those factors that have caused blacks to lose ground economically – schools, the importance of the family and the necessity of gaining self-respect through self-reliance. He has not done so. Racism is more rampant and income gaps have widened. The victims are those he professes to care for. It is the saddest legacy of his Presidency. Years ago, at the height of the civil rights movement, my paternal grandmother – a wise woman who spent six years studying public health at MIT during the late 1890s – told me that racial prejudice would not be cured until we were all of one color. As a committed believer in Darwin, she felt certain such an event would happen, but it would take many generations. A few years ago, I wrote an essay, “We Are All Kin.” It was based on the mathematical certainty that we are all related. I concluded it: “It is on the differences in political philosophies that our discourse should be focused, not on the color of our skin, our gender, our religion, or the country from which our ancestors hailed. After all, we are kin.” That should be the message of our President.